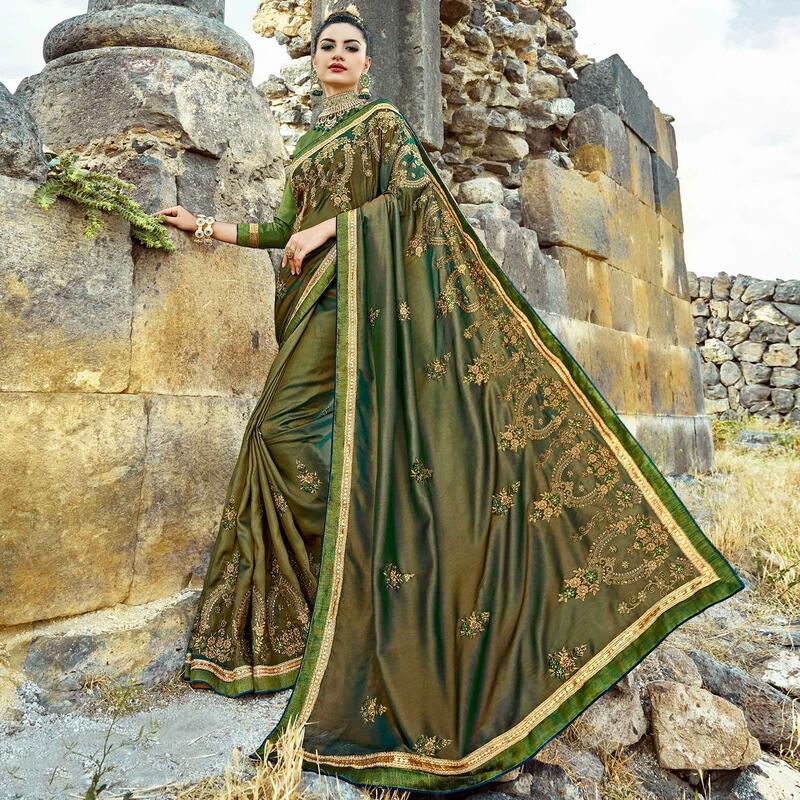 Be an angel and create and ascertain a smashing impact on everybody by carrying this glorious green colored silk saree. The saree attire is enhanced with zari & resham embroidery with stone work as shown. Paired with unstitched matching art silk blouse piece, which can be stitched as per your style & requirement. This attractive saree would surely attract you showers of compliments when you wear it for casual parties, social outings, weekend get together, kitty parties, office. Team it with fashionable ethnic accessories and high heel for a complete look. It is soft and comfortable to wear and will thus, become your favorite in time.